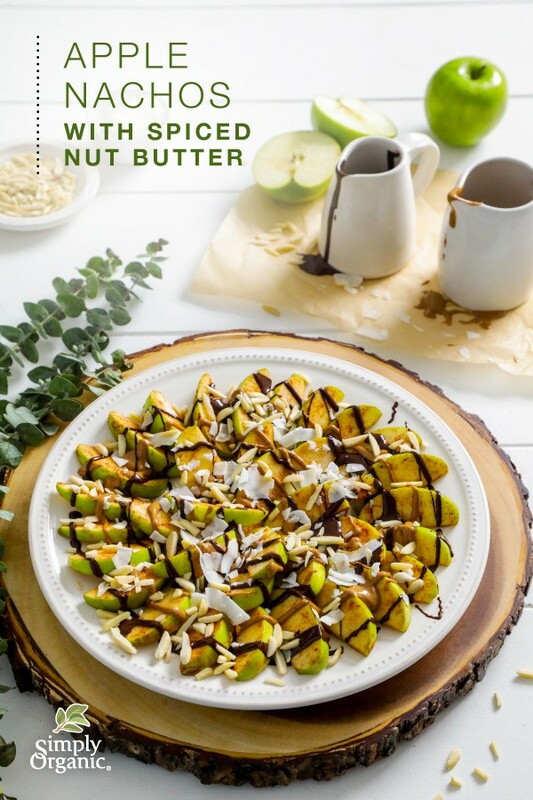 Experience classic holiday seasonings in a new way with these apple nachos drizzled with spiced nut butter. Simply elegant as a snack, appetizer or dessert, these nachos are vegan, gluten free, and loaded with fruit, nuts, coconut and a hint of chocolate. In a large bowl, toss apples with lemon juice and cinnamon, then lay apples flat on a plate or serving tray. In the top of a double boiler or heat-proof bowl placed over a pot of barely simmering water, warm nut butter with coconut oil until melted. Mix in cinnamon, ginger, nutmeg and cloves. Using a spoon, drizzle spiced nut butter over apples. Wash top pan of double boiler or heat-proof bowl and place again over simmering water. Add dark chocolate chips and coconut oil, stirring until melted. Top apple nachos with coconut flakes and slivered almonds, and serve. 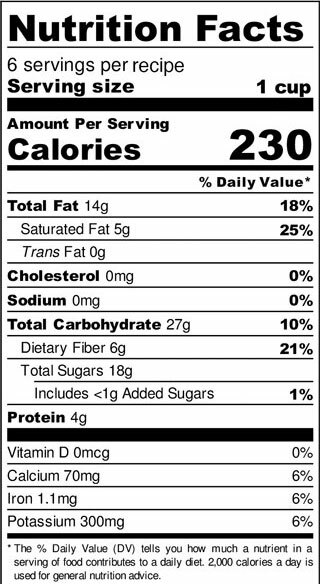 *Amount of oil needed may vary depending on nut butter used. Try starting with 1⁄2 teaspoon and adding more as needed.